Hello everyone! It’s day 19 of the coloring challenge. I had every intention of coloring and posting yesterday but it was really busy with the return of school routines, errands and then I just felt wiped out so I took time off. But this morning I completed the card from Sunday. 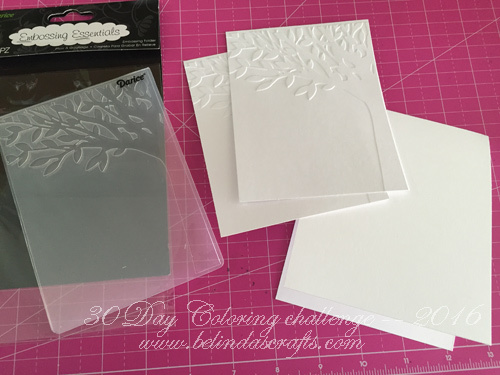 I pulled out an embossing folder of a tree that I thought would work nicely with this image. As usual, I took the time to make extra so I can make more cards later. 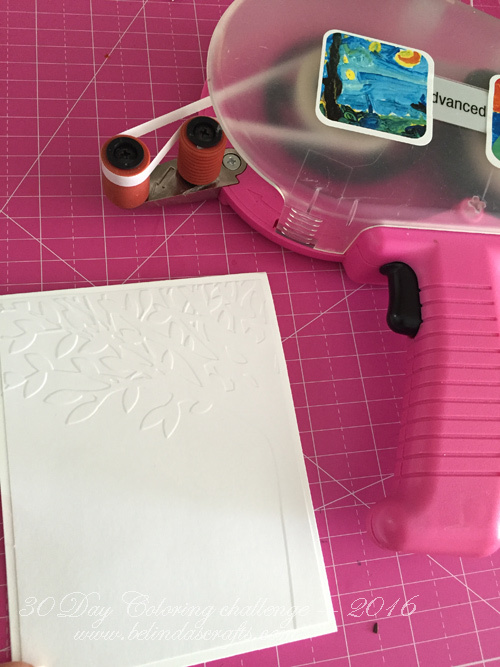 I made sure to cut it slightly smaller than the card base and attached it. Again, I am loving the monochromatic look of white on white. I decided not to use dimensional adhesive to attach her to the card and let her rest on top of the tree. I really love feeling this one it’s so lovely the way it hugs the corner of the card. The final card is so sweet and simple. I haven’t put a sentiment inside but would love any suggestions. 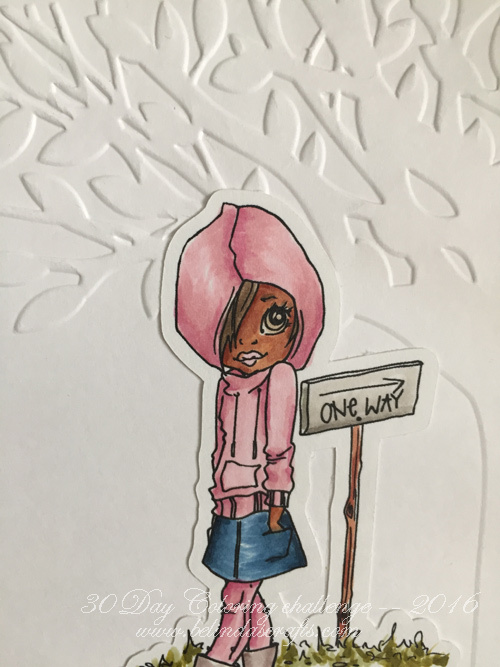 I was thinking since the sign says ‘one way’ that I could include the words ‘to my heart’ inside for a sweet nothing card. “What do you think I should write in the inside? Happy coloring! See you tomorrow. Previous Post30 Day Coloring Challenge #4: Day 18 – I Completed a Coloring Page!